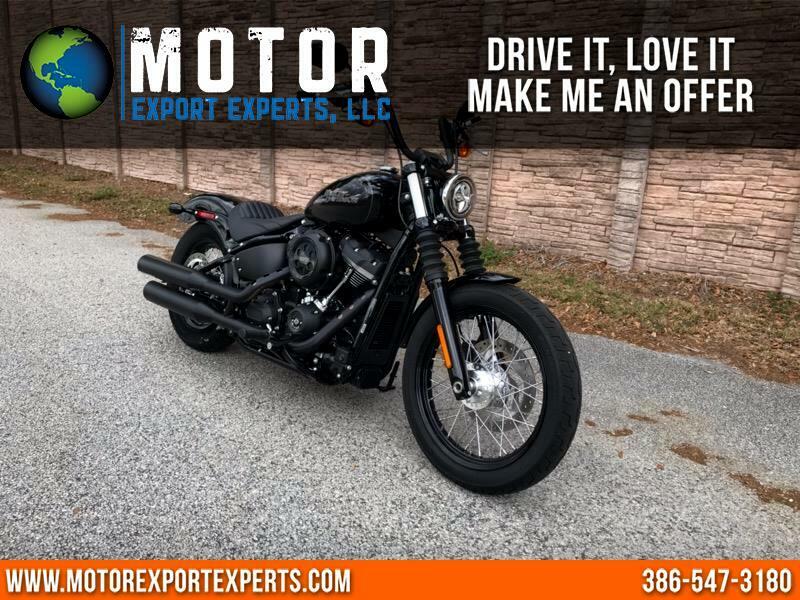 2019 Harley-Davidson Street Bob FXBB in show room condition, only 704 miles, one owner bike with anti lock brakes, 107 Milwaukee 8 engine. The handling of a Softail motorcycle enters a new era with a lighter, more rigid frame that elevates form and function to a higher plane, while maintaining the classic look of a hard tail and delivers a thoroughly modern ride. Benefits of the new chassis include increased lean angles, sharper turn-in response, quicker acceleration, nimble flick-ability, lighter weight, and easier side-stand liftoff than predecessor Softail and Dyna models. The steel foundation of the next generation of custom Harley-Davidson motorcycles has been forged. Message: Thought you might be interested in this 2019 Harley-Davidson FXBB Street Bob.